Three major events are taking place in November and each offers educational and networking opportunities to different segments of the industry, as well as a chance to meet with prospective customers and business associates. The National Marine Bankers Association&apos;s annual conference is scheduled for Nov. 6-9 in San Diego, followed by the Marine Dealer Conference & Expo Nov. 14-17 in Orlando, Fla. The spotlight then shifts to Europe, where METS - the huge trade exhibition for the recreational marine industry - runs Nov. 16-18 in Amsterdam. The Marine Equipment Trade Show Nov. 16-18 at Amsterdam RAI is the world&apos;s largest trade show for equipment, materials and systems in the recreational marine industry. 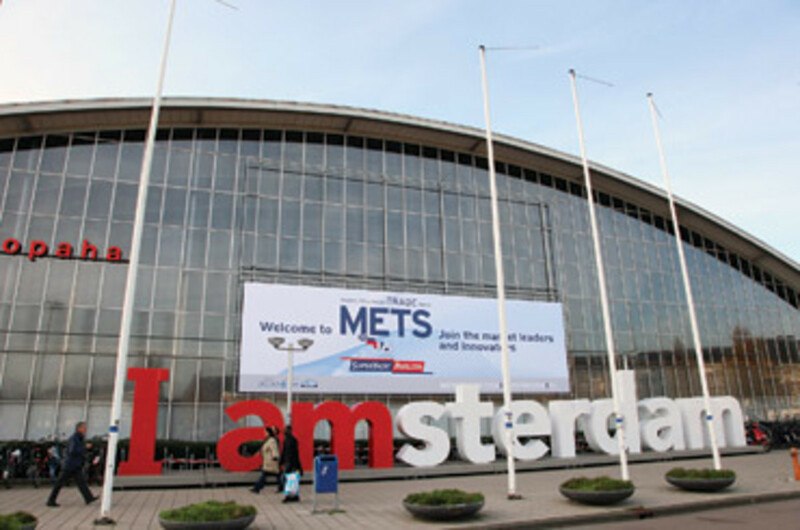 METS, organized by the International Council of Marine Industry Associations, also features a SuperYacht Pavilion, which serves as the "central platform for the worldwide superyacht industry and a show within a show," organizers say. More than 1,270 exhibitors are expected to take part, including about 150 U.S. companies. About 70 of those will be in a U.S. pavilion the National Marine Manufacturers Association has organized. "Of the people I talked to, they&apos;re saying if they&apos;re going to go to one show, it&apos;s going to be METS, so a couple of my exhibitors have said they&apos;re skipping everything else," says Melissa Gurniewicz, project manager for trade events for the NMMA. "It&apos;s the place for business - definitely the largest-attended trade event in the industry. Obviously, IBEX would be the place for U.S. [businesses], but international business is going to happen at METS." Gurniewicz says this year&apos;s U.S. pavilion is larger than last year&apos;s - more than 200 square yards compared with 187 square yards in 2009. The NMMA also organizes the Canadian pavilion, which will include six companies, the same as last year. Being in a pavilion "gets you noticed a little more," she says. "We just do a lot more promotion than the average company would do if they went out on their own." METS will feature 15 national pavilions this year. In 2009, 18,454 people attended METS, representing 94 countries, organizers say. That was on par with 2008. Last year, 1,261 companies exhibited. Organizers announced in September that the SuperYacht Pavilion had sold out and that METS itself was 99 percent sold out. "To have sold all space at an already expanded SuperYacht Pavilion this far ahead of METS is an incredible industry endorsement of the value of the SYP as a leading superyacht business platform," says senior project manager Irene Dros. "Exhibitor response has been excellent, an encouraging sign that the industry is starting to see some positive economic recovery," Dros says. METS again will feature the Design Awards METS - or DAME - a prestigious awards program now in its 20th year. Last year&apos;s program featured 125 entries; FLIR Systems was named the overall winner for its M-626L Series night vision system. This year, money raised by DAME will be donated to the Whispering Boat Building Academy in South Africa, a school for people with disabilities. 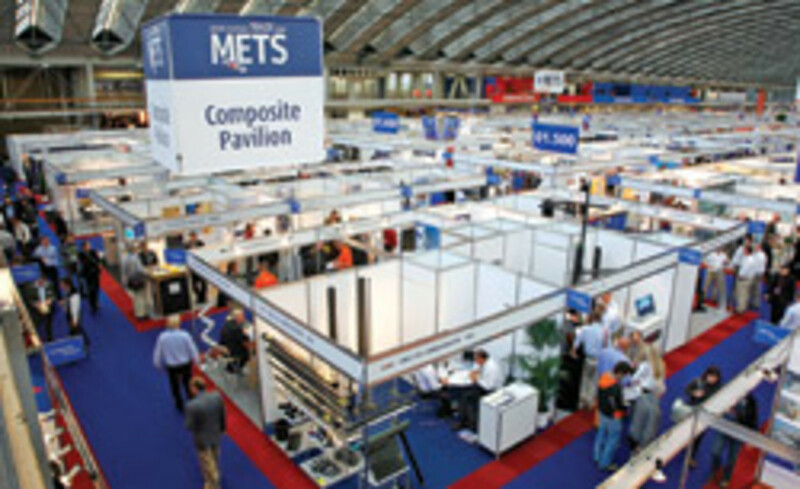 For more on METS, go to www.metstrade.com. On the heels of last year&apos;s successful event, organizers of the Marine Dealer Conference & Expo are expanding the program, with more educational sessions and additional exhibitors. The program runs Nov. 14-17 in Orlando at the Orange County Convention Center and the Rosen Plaza Hotel. This is the second year the conference is being held in Florida after shifting from Las Vegas. The move brought the event to a location where many dealers and manufacturers are within a couple of hundred miles, according to the Marine Retailers Association of America and Boating Industry magazine, which produce the conference. This year&apos;s event features three tracks: Service Department, Sales and Marketing and Powering Profits. There are bonus sessions, including a Discover Boating update, the future of marine head technology and a keynote presentation titled "Accelerate Business Innovation." "I&apos;m hoping that this conference will give us some ideas that will help the dealers through these tough times and through the winter coming up, when it looks like it might be bleak," says MRAA president Phil Keeter. "I think it&apos;s going to be a tough winter for most of them and I think they&apos;re going to need every edge they can get, so hopefully the conference can do that." The exhibit hall will be open throughout the show and about 30 boat manufacturers are expected to participate, Keeter says. Despite nearly doubling the size of this year&apos;s exhibit capacity to 106,000 square feet, the 2010 conference sold out of bulk exhibit space by early October, organizers say. More than 100 companies plan to exhibit. There are 10 sponsors this year, compared with seven in 2009. They include Brunswick Corp., Nautic Global Group, Regal Marine Industries and ADP Lightspeed. In 2009, there were 743 attendees, including 439 dealership personnel. A total of 228 individual dealerships registered for the conference. As of the early-bird registration deadline, Sept. 27, 546 people had signed up to attend. That&apos;s up from 349 who registered early last year. At the deadline, 113 dealerships had said they would send staff to the event. Keeter says he anticipates more than 1,000 people will take part in what has become a "must attend" event for marine retailers. For more on the MDCE, go to www.mraa.com. There are plenty of reasons for NMBA members to head west to San Diego&apos;s Rancho Bernardo Inn in November. The agenda for the 31st annual conference includes discussions of the Gulf oil disaster and breakout sessions on marine fraud, short-sale mechanics and boat financing, and the new financial reform law. Although no regulations have been written for the financial reform law, NMBA president Karen Trostle says it&apos;s sure to have a significant effect on this segment of the industry. "We&apos;re going to talk about how it affects the banks and how it&apos;s going to be affecting service companies, which are loan originators, and what we should be prepared to look at," she says. Another session that should be of interest will analyze a fraud case that has been litigated. "Fraud is a very big problem in our industry today, so anything we can do to help folks look at the information a little differently [is positive]," Trostle says. "If anybody can pick up one thing that they can say, &apos;Oh, I&apos;m going to change this about identification,&apos; or whatever we can do to give them information about how to stop fraud." Speakers include Dean Brenner, chairman of the Olympic Sailing Committee and an authority on persuasive communication, and Gina Martin, an economist who will talk about the industry&apos;s financial future. Greg Proteau will moderate a panel on how the Gulf oil disaster has changed (and continues to change) boating, fishing and related recreation in the Gulf region, as well as the spill&apos;s impact on lenders. Social media and the ways they can be used to promote businesses also will be discussed, Trostle says. Between 100 and 120 people usually attend. "It&apos;s just a great way to get everybody together to network," she says. NMBA leaders have been busy speaking with bankers about getting into marine lending. Trostle says the discussions have been positive and people have been receptive. NMBA members have arranged to speak with local and community banks at coming boat shows, as well. Trostle says the lending environment remains difficult but may be improving. "I believe that it is easing just a tad bit, not to any great extent but we are seeing some people that weren&apos;t in the business before starting to get back into it, albeit not in a great big way," she says. "For instance, Key Bank is now back into lending, not in the same way that they were before, but we are seeing some more players get back in. ... The credit grading criteria hasn&apos;t eased that much, but we are seeing some new players get in." For more on the NMBA conference, go to www.marinebankers.org.